axial piston unit of bent axis design with fixed displacement, for use as either pimp of motor in hydro-static drivers,in open or closed circuit. if operated as a motor,the output speed is proportional to the swept volume and inversely proportional to displacement. The company was established in 1995 and engages in technical research, Production, sales, and services in Hydraulic Pump industry. Foshan Hongpeng Hydraulic Pressure Ltd. This piston pump smoothly and continuously varies its displacement,by altering the angle of its swash plate. As your system operates, valves monitor the loads on the actuators and control the swash plate accordingly. The company was established in 1995 and engages in technical research, Production, sales, and services in Hydraulic Pump industry. Liuzhou Jinzhaopai Trade Co., Ltd.
Flow direction is reversed by tilting the swash plate to the opposite side of the neutral or zero displacement position. Committed to providing customers with high-quality hydraulic control components and hydraulic system design, maintenance, etc. Company's main products are: import Rexroth, Sauer Danfoss hydraulic piston pumps, motors, gear pumps, reducer assembly and accessories. We Lingqiao prestressing anchorage,jack,pump or other prestressed equipment are improving for construction demand. Q What about the lead time for the mass production9 A We often arrange our product within 7 working days . But h onestly, it depends on the order quantity and the season you place the order. 2. Centrifugal suction charging pump. 6. Belt-driven centrifugal suction charging pump. 7. Electric-driven centrifugal charging pump. , Ltd is one of professional supplier on machinery equipment and parts especially on excavator and dredger. 3. High precision testing facilities and experienced inspectors. Bring the best products and service to customers and establish close business relation to benefit them mutually in the long term. Q2: How can I buy SOV products in my country9 A2: Please send us an inquiry or email , we will reply to your if there is distributor in your country. We have been trusted by domestic mega statedstate owned companies, as well as international distributors and renowned brands. Service: SOV promised to respond to customers products quality or service in 24 hours reported, and solutions shall be provided in 48 hours. 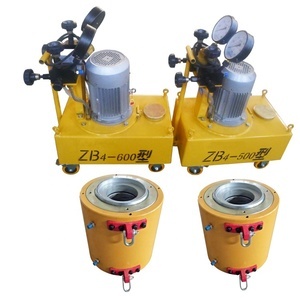 Ta Ta Science And Technology (Ningguo) Co., Ltd.
B:YBZ2x1.5/63 is a oil pump designed for the large tonnage hydaulic jacks in post tensioning and prestressing work. But it will be incresed automaticly when tensioning high pressure work, thus the steafy of tensioning and prestressing can be guaranted. We are the exclusive manufacure of developing and producing oil pump that can separately feed oil for two jacks at same time. 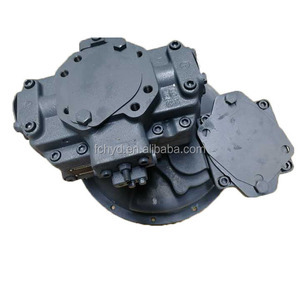 Alibaba.com offers 41,873 oil hydraulic piston pump products. About 91% of these are pumps, 4% are hydraulic parts, and 1% are construction machinery parts. A wide variety of oil hydraulic piston pump options are available to you, such as hydraulic, electric. You can also choose from high pressure, low pressure. As well as from piston pump, gear pump, and multistage pump. And whether oil hydraulic piston pump is diesel, or gasoline. There are 41,767 oil hydraulic piston pump suppliers, mainly located in Asia. The top supplying countries are China (Mainland), Taiwan, and Turkey, which supply 99%, 1%, and 1% of oil hydraulic piston pump respectively. 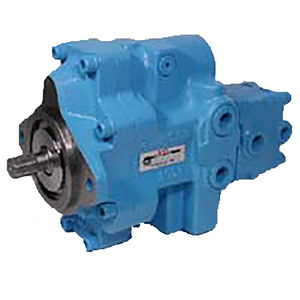 Oil hydraulic piston pump products are most popular in North America, Mid East, and South America. You can ensure product safety by selecting from certified suppliers, including 10,952 with ISO9001, 2,613 with Other, and 367 with ISO14001 certification.